Lotusier offers a complimentary personalisation service for each Tea Humidor. Removable stainless steel plaques, magnetically fitted onto the Humidor’s inner lid, can be hand-engraved (up to 15 characters each) – e.g. with the names of favourite teas, or with the names/initials of the Tea Humidor’s owner(s) or the recipient (if a gift). The Tea Humidor is a unique luxury gift. 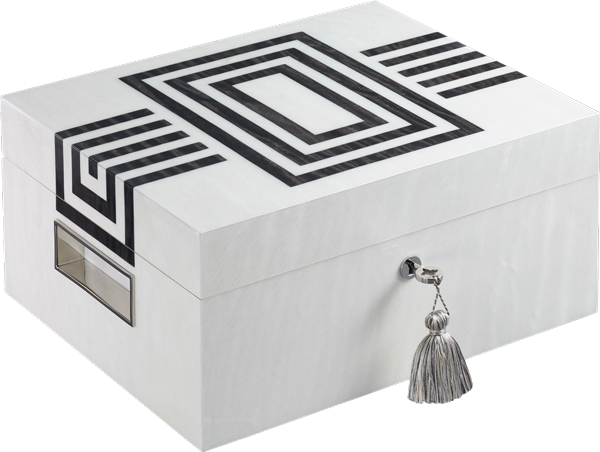 We are pleased to take orders for gifting – for personal as well as corporate gifts, and also for special occasions requiring multiple Tea Humidors. 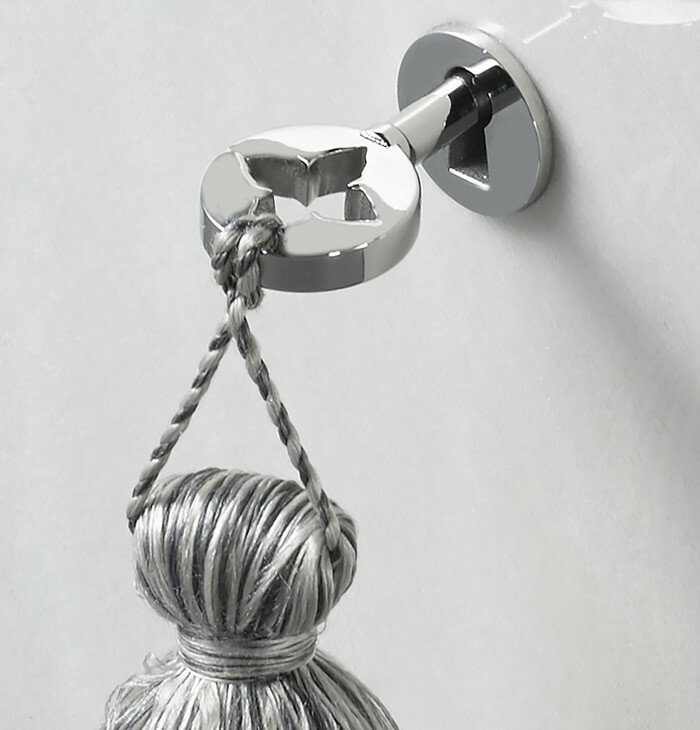 Each piece is beautifully presented in refined and attractive packaging. the freshness and quality of tea. The Tea Humidor is the ideal way to preserve the freshness and quality of tea. Tea has five major "enemies": air, light, heat, moisture, and odour. The Humidor elegantly and effectively secures tea from exposure to all of these contaminants, with the sole exception of heat, which can be easily regulated by controlling the temperature setting in the space where the Tea Humidor is placed. The tea is stored in hand-blown crystal containers, innovatively designed and purpose-made, with four air channels to ensure an even distribution of humidity. A humidity pack fits within a stainless steel base under the container and offers a special two-way humidification system – allowing for humidity to be removed as well as added, as per requirement (most different tea varieties are optimally preserved within a 55-70% relative humidity range). 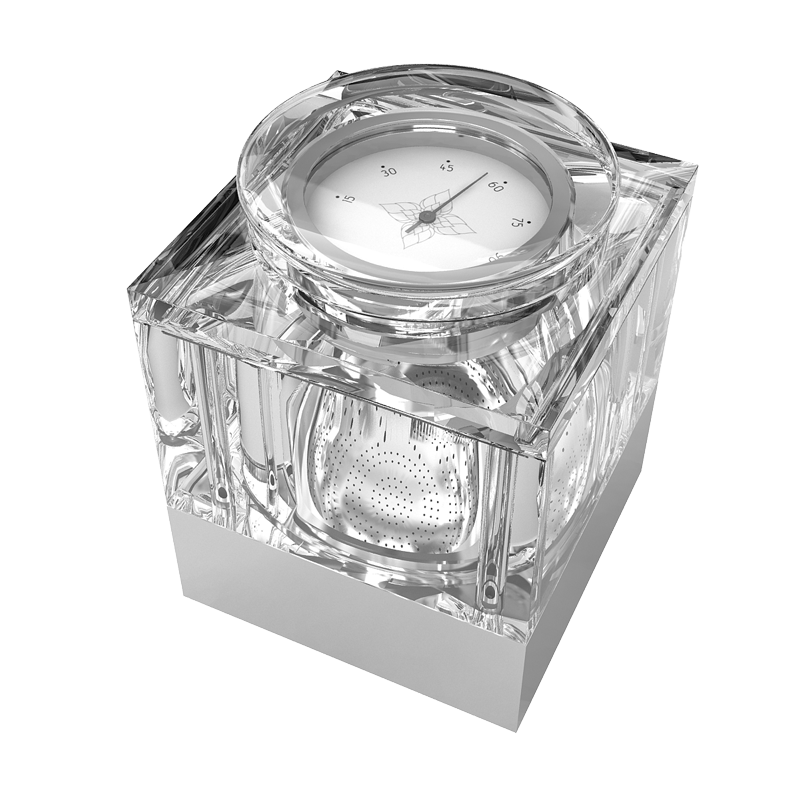 The Tea Humidor includes 4 or 6 hygrometers (depending on the configuration) which provide a reliable measure of the relative humidity level in each individual crystal container. 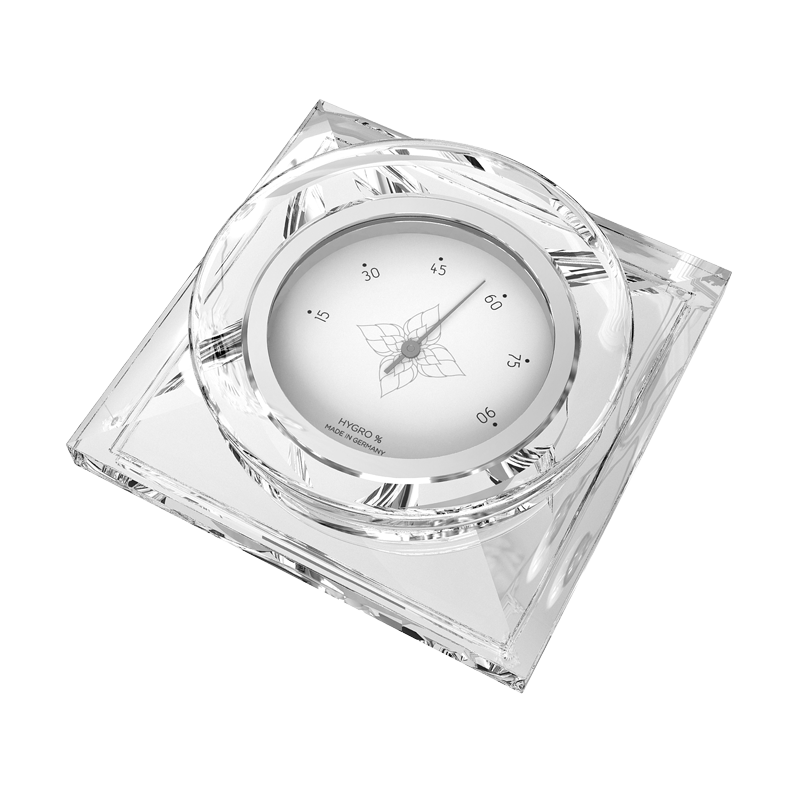 These removable German-made instruments are placed securely on the inside of each crystal container’s lid. The humidity percentage can be read at a glance on the hygrometer dial. 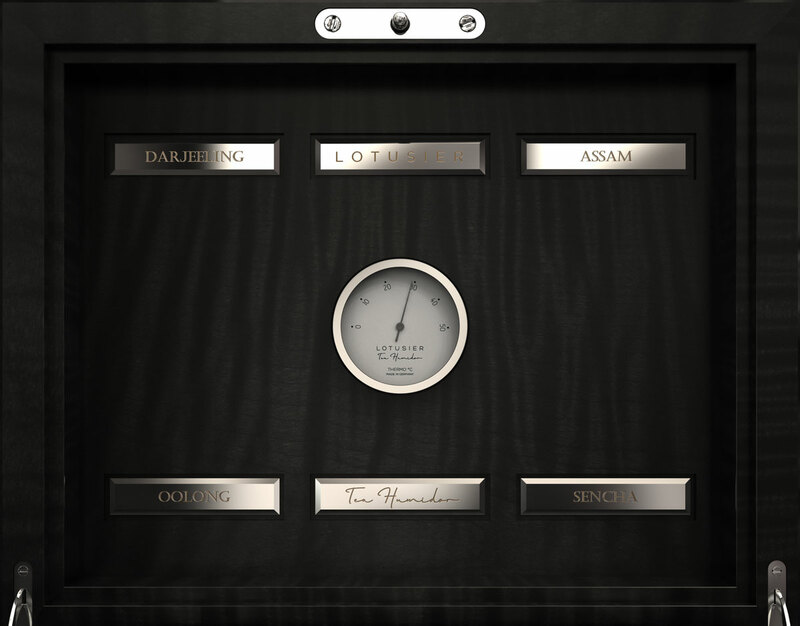 The Humidor also contains a German-made thermometer, positioned on the inner lid of the Tea Humidor, which measures the temperature inside the box.